Minnesota high school running is experiencing something remarkable, and we are all witnesses to it. Records are falling, barriers are being broken, some of the most impressive teams in recent memory are working to create a legacy. Sure, history is made every season and at every State meet in the minds of all who see and experience it, but it is always a new history to those passionate enough to participate in and follow the sport. And when history unfolds before thousands of eyes on the campus of St. Olaf College on Saturday, November 3rd, it could be something that no one will soon forget. Minnesota has been blessed this year to be the home state of several of the nation's best female runners who are making the biggest headlines, as both returning defending champions on the girls side have been experiencing their most extraordinary season yet. On the one side, senior Emily Covert has broken both meet and course records everywhere she has run this year and may be ready to put her name alongside the likes of Carrie Tollefson, Kara Goucher, Bria Wetsch, and Elizabeth Yetzer as the grestest prep runner Minnesota has ever producced. On the other side, sophomore Tierney Wolfgram may be on the verge of doing something unprecedented for any high school runner, as a win from her would come just four weeks after an Olympic Trials-qualifying effort in her first marathon. But the national talent extends to well beyond just those two girls, or even the two regular NXN team qualifiers of Wayzata and Edina who are potential favorites to add to their growing totals of State Championships. And on the boys side, if recent race results are any indication, we could see finishes just as exciting and dramatic as those we're been blessed to see in the Class A races both of the past two years. It is remarkable to think about just how selective the opportunity to compete at the State Championships is. 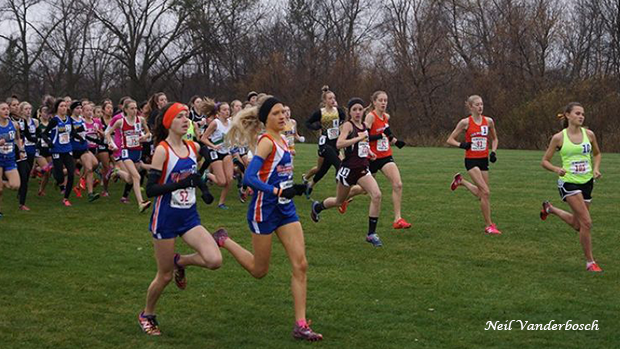 In the state of Minnesota in the fall of 2018, there were over 12,300 athletes in grades seven-through-twelve that competed in a high school 5K competition. Of that number, exactly 704 will receive the opportunity to run at St. Olaf this coming Saturday. Out of over 600 high school squads, there will be 64 full teams at the starting line when the gun goes off. Every single runner and every single squad has already achieved something very impressive, and they will receive a chance in four days to place an exclamation point on their seasons in one way or another. Welcome to the Minnesota State High School League State Cross Country Championships! So without further ado, read on and check out our previews for the races this upcoming Saturday!